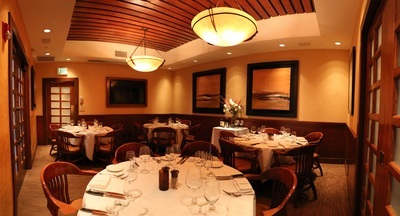 The Gaslight Room is a refined space that can accommodate up to 24 people. 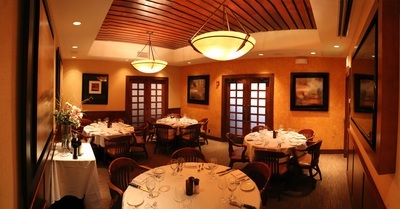 Cherry wood paneled ceiling and wainscoting, all paintings and amber colored chandeliers are features of this room which is adjacent to the main dining room. 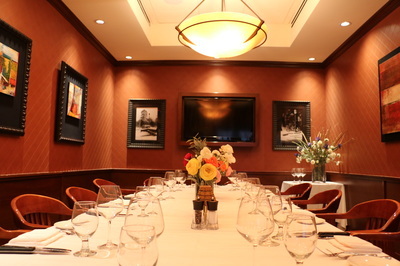 The Gaslight room is equipment with a screen for presentations. 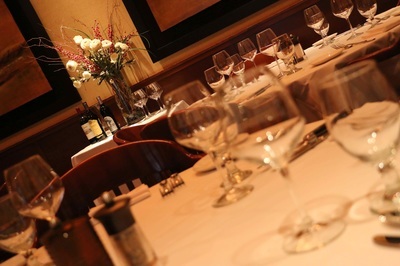 The Club Room, the smaller of our two private dining rooms, can accommodate parties of up to 14 people. 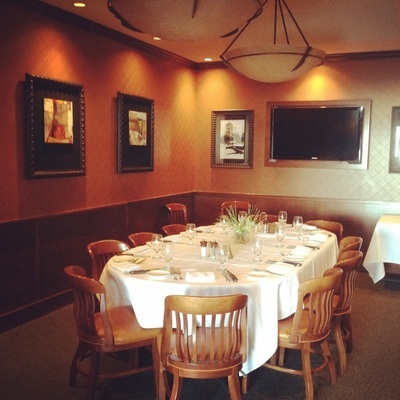 This room has a single table that seats 14 guests, and has a real "board room" feel. There are two glowing chandeliers over the dining area. The Club Room has an LED Plasma screen. The technical attributes of both rooms include wifi & hardwired internet, phone line and satellite downlink ready. 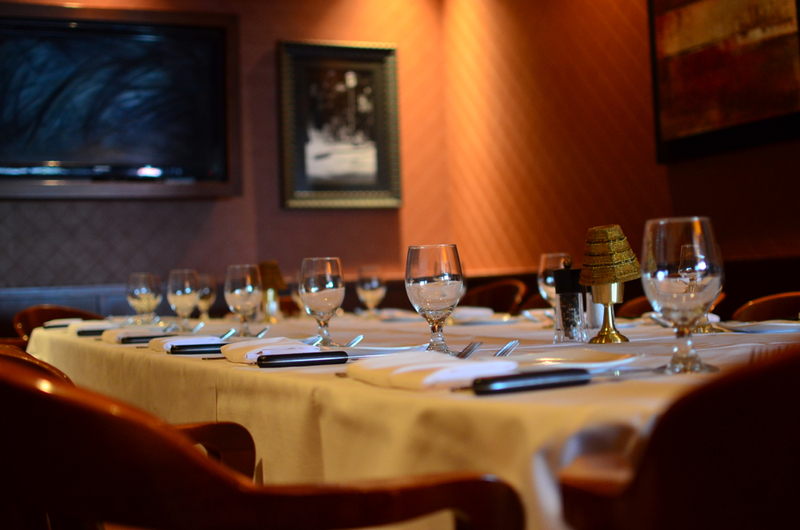 Details of Embers' private dining spaces, as well as contact information to our events Coordinator can be found in the attached Private Dining Guide.